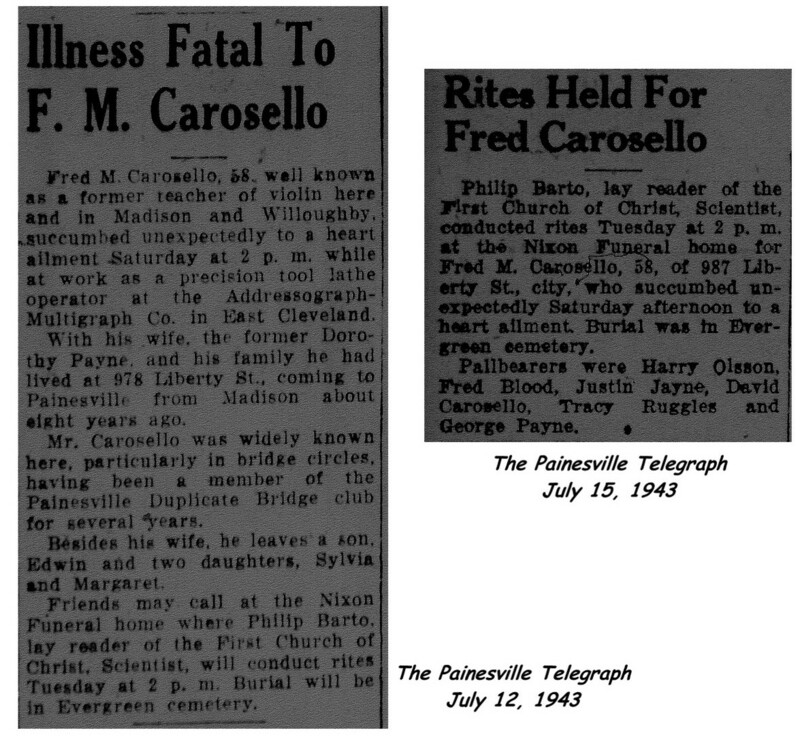 Fred M. Carosello first appears in the Painesville, Ohio, area about 1934. Fred M. Carosello was born about 1885, at Italy. Fred was married to the former Dorthy Payne. He died on Jul 10, 1943, in Euclid, Cuyahoga County, Ohio. Mr. Carosello died as a result of a heart attack while working at the Addressagraph-Multigraph Company. At the time of death, Fred resided in 978 Liberty Street, Painesville, Lake County, Ohio. He moved to Painesville from Madison, Ohio, about 1934. Fred M. Carosello’s place of birth and name at birth are not known.